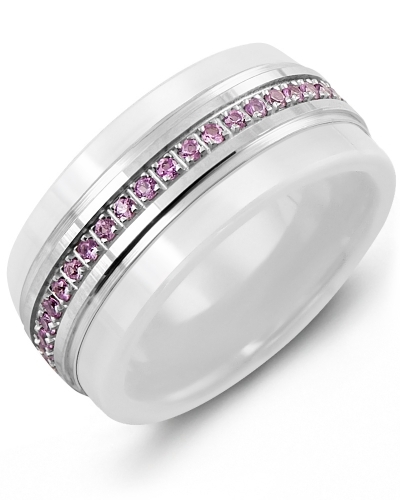 MWD - Pink Sapphire Diamond Eternity White Ceramic Wedding Ring Pushing the boundaries of jewellery design, this Pink Sapphire White Ceramic Diamond Wedding Ring is the contemporary choice for modern brides and grooms. 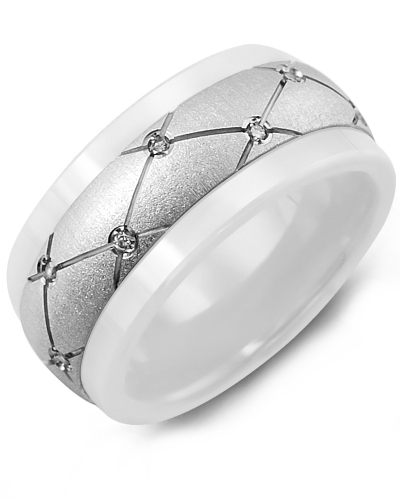 The crisp white ceramic band features a white gold insert skilfully set with dazzling white diamonds and shimmering pink sapphires over three rows. 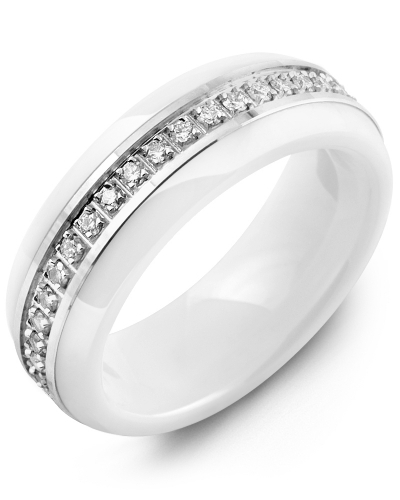 The insert is available in 10kt, 14kt, and 18kt options, and this exquisite 9mm ring can be personalised with your choice of 45, 63 or 126 precious stones. 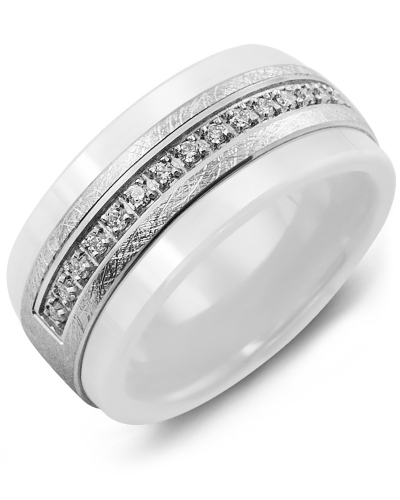 Pushing the boundaries of jewellery design, this Pink Sapphire White Ceramic Diamond Wedding Ring is the contemporary choice for modern brides and grooms. The crisp white ceramic band features a white gold insert skilfully set with dazzling white diamonds and shimmering pink sapphires over three rows. 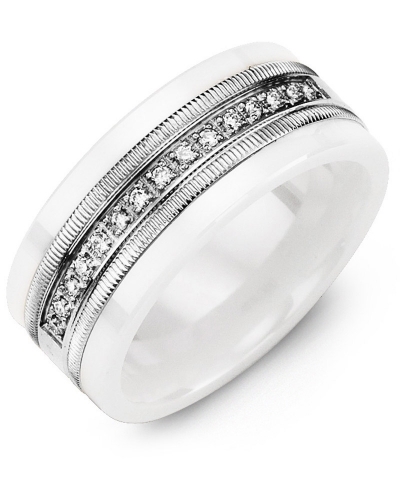 The insert is available in 10kt, 14kt, and 18kt options, and this exquisite 9mm ring can be personalised with your choice of 45, 63 or 126 precious stones.